Dimensions 2.25 by 6 by 9 in. Japanese; Canada; Social life and customs. Amazon.com description: Product Description: This one-volume, quick-reference tool to legal guidance and procedures spans 75 key areas, including the explosion of legal activity in financial reporting, age discrimination and living trusts. 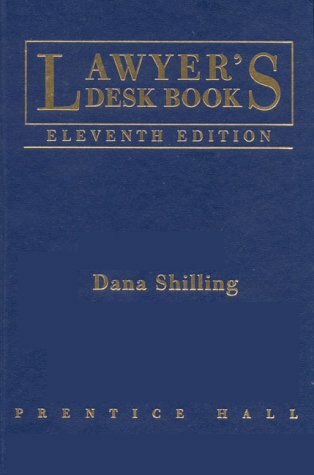 Lawyer's Desk Book offers a wealth of quick reference aids, such as a directory of government regulatory agencies, state officers with whom to file incorporations, and state death taxes. About: This one-volume, quick-reference tool to legal guidance and procedures spans 75 key areas, including the explosion of legal activity in financial reporting, age discrimination and living trusts.